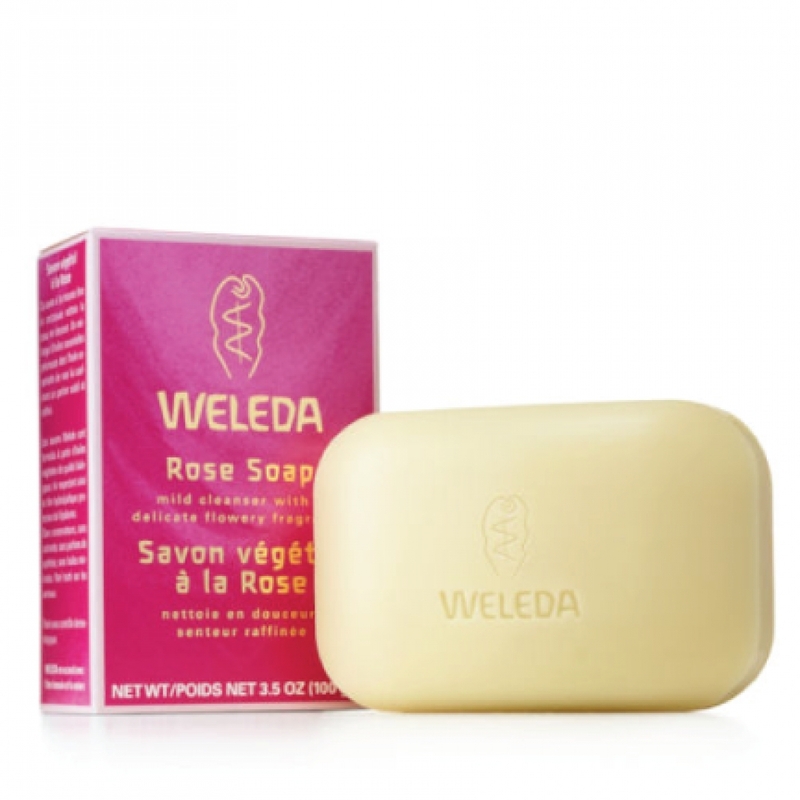 Weleda Rose Soap is a mild, all-natural bar soap that cleanses without drying like most soaps can. 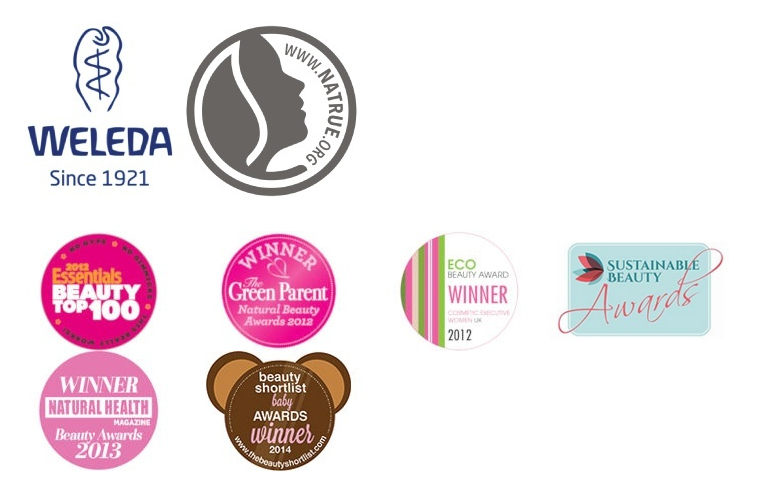 Pure, natural saponified olive oil and coconut oil gently clean without stripping or drying skin. Organic wild rose leaf extract and rose essential oils provide a luxurious fragrance that balances body and mind. Refreshing and pleasant, this skin-pleasing bar soap will leave you feeling pampered, radiant and lovely as an organic wild rose. Sodium Palmate, Sodium Cocoate, Water (Aqua), Sodium Olivate, Glycerin, Fragrance (Parfum)*, Citronellol*, Geraniol*, Citral*, Eugenol*, Rosa Damascena (Rose) Extract, Sodium Chloride (Salt). Apply Rose Soap to wet hands or a wash cloth. Wash your hands and/or body and rinse.